Work by Karen Aqua (Film & Video Fellow ’11), Jodi Colella (Sculpture/Installation/New Genres Fellow ’19), Rebecca Doughty (Painting Finalist ’10, ’90) is exhibiting in the Miller Street Open Studios in Somerville (4/6-4/7). On 4/5, Ken Field (Music Composition Finalist ’17) & Friends will perform for an After Dark reception/open studios event (6-9 PM). Karl Baden (Photography Fellow ’99, Finalist ’17, ’13) and Judith Motzkin (Crafts Fellow ’19) were among the artists whose designs were selected for The Vacant Storefront Creative Design Contest, organized by the Community Development Department and Cambridge Arts. Each artist will receive a $1,000 honorarium. Laura Baring-Gould (Sculpture/Installation/New Genres Fellow ’99), Melissa Finelli (Crafts Finalist ’15), Gretchen Romey-Tanzer (Crafts Fellow ’19, ’05), and Donna Veverka (Crafts Fellow ’13) are among the artists exhibiting in CraftBoston Spring by the Society of Arts and Crafts, at the Boston Center for the Arts Cyclorama (4/12-4/14). John Cameron (Crafts Fellow ’11), Melissa Finelli (Crafts Finalist ’15), Carrie Gustafson (Crafts Fellow ’11), and Donna Veverka (Crafts Fellow ’13) are among the artists exhibiting in the Smithsonian Craft Show in Washington DC (4/24-4/48). Charles Coe (Poetry Fellow ’96) and January Gill O’Neil (Poetry Finalist ’18) join Romeo Oriogun for a National Poetry Month Celebration at Cambridge Public Library, Main Branch (4/18, 6:30 PM). 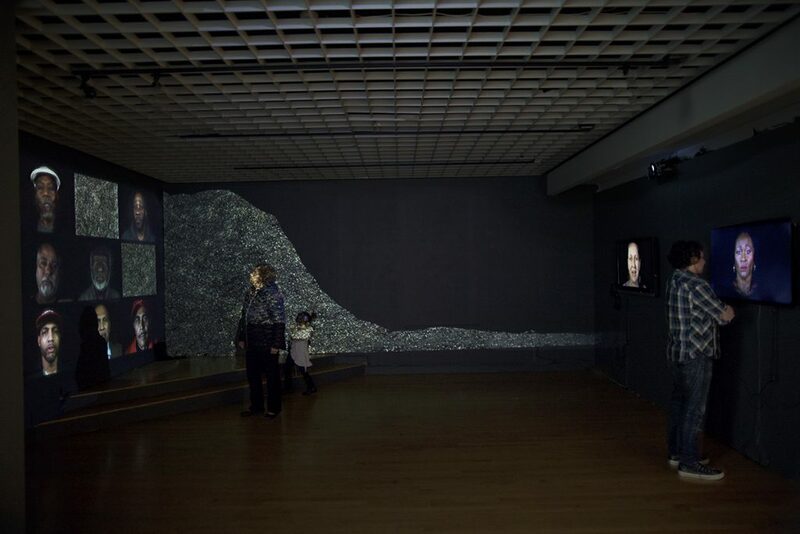 Stephen DiRado (Photography Fellow ’11, ’03, ’91, ’87), Anne Lilly (Sculpture/Installation/New Genres Fellow ’19), Ben Sloat (Painting Fellow ’14), and Yu-Wen Wu (’04, ’98) are among the artists exhibiting in The Moon: Eternal Pearl at Concord Center for the Visual Arts (thru 5/1). Linda Etcoff (Drawing & Printmaking Fellow ’16, ’04; Painting Fellow ’89), Andrew Haines (Painting Fellow ’00), Chuck Holtzman (Drawing Fellow ’06), Catherine McCarthy (Painting Fellow ’04, ’98), Janice Redman (Sculpture/Installation/New Genres Fellow ’01), and Tabitha Vevers (Painting Finalist ’87) are all exhibiting in Drawing/Assemblage/Collage at Clark Gallery in Lincoln (thru 4/30). Mags Harries (Sculpture/Installation/New Genres Fellow ’03, ’76) and Neal Rantoul (Photography Finalist ’80, ’78) are exhibiting in What We Have Wrought: Photographs of Harries, Rantoul and Steinader at Galatea Fine Art (4/3-4/28, opening reception 4/5, 6-8 PM, artist talk 4/14, 2-4 PM). Nona Hershey (Drawing & Printmaking Fellow ’04) and Michael Zachary (Drawing & Printmaking Finalist ’18) are among the artists exhibiting in Shift/Perspective, the debut exhibition at Gallery Tempo in Brookline (4/8-4/30, opening reception 4/7, 5-7 PM). Debra Olin (Drawing & Printmaking Finalist ’18), Michelle Samour (Drawing & Printmaking Fellow ’14), and Debra Weisberg (Drawing & Printmaking Fellow ’08) are all exhibiting in the group exhibition Organic Complications at Trident Gallery in Gloucester (4/13-5/26, opening reception 4/13, 5-7 PM). Kati Agócs (Music Composition Fellow ’15) has curated a series of performances with Metropolis Ensemble as part of the A Stone’s Throw series. The third and final evening, Parallax, took place in March. Denise Bergman (Poetry Finalist ’14) has a new poetry book, Three Hands None, published by Black Lawrence Press. The launch reading will be at Porter Square Books in Cambridge (4/10, 7 PM). Sari Boren (Fiction/Creative Nonfiction Finalist ’14) is premiering/performing her first play, the solo show Exhibiting, at Newton Theatre Company (4/26-4/28). Also, her short play To Rest will be performed in the Somerville Theater Festival, by Performing Fusion Theatre at the Rockwell Theater (4/18-4/27, 7 PM). Kim Carlino (Drawing & Printmaking Fellow ’16) has a solo exhibition, A Sense of Place, at the Arno Maris Gallery @ Westfield State University (thru 4/25, artist talk 4/4, 11:15 AM). She created an immersive, three-wall mural for the group show Close Encounters at the Springfield College William Blizard Gallery (thru 4/11). She also has work in intimate/infinite at LOCAL Gallery in Easthampton (thru 4/6). Charles Coe (Poetry Fellow ’96) has a new poetry collection, Momento Mori, published by Leapfrog Press. He’ll have a book launch for the collection at Cambridge Public Library, Main Branch (4/23, 6:30 PM). He’s among the poets and artists taking part in Boston National Poetry Month Festival (4/3-4/7). As mentioned above, he’ll also take part in a National Poetry Month Celebration at Cambridge Public Library, Main Branch (4/18, 6:30 PM). Sally Curcio (Sculpture/Installation/New Genres Finalist ’17) is among the artists exhibiting in Small Worlds: Miniatures in Contemporary Art at the University of Vermont Fleming Museum of Art (thru 5/10). Read about the exhibition in Greg Cook’s arts journal Wonderland. Rebecca Doughty (Painting Finalist ’10, ’90) has a solo exhibition of paintings and drawings, Here We Are, at Gallery Kayafas in Boston (4/12-5/18, opening reception 5/3, 5:30-8 PM). She also has work in the Small Works Salon: Interior Spaces at the Maud Morgan Arts Chandler Gallery (thru 4/19, opening reception 4/4, 6-8 PM). Rashin Fahandej (Sculpture/Installation/New Genres Fellow ’19) was among the artists and arts professionals featured by the WBUR’s The ARTery 25, a series highlighting millennials of color making an impact in the Boston arts scene. Jane Gillooly‘s (Film & Video Fellow 13, 07) film Where the Pavement Ends screens this month at the Full Frame Documentary Film Festival in Durham, NC (4/4, 4 PM). An exhibition of work by Julie S Graham (Painting Finalist ’00) called Julie S Graham: Unexpected Places takes place at Kingston Gallery (4/3-4/28, opening reception 4/5, 5-8 PM, gallery talk by Gerry Bergstein and Allison Gray 4/13, 3-5 PM). The artist passed away in August 2018, and this exhibition honors her life and art. Neena Gulati (Choreography Fellow ’18) and the Triveni Dance Ensemble present Sapta – The Seven Deadly Sins, interpreting Indian classical dance in a modern context, at Boston University Dance Theatre (4/12-4/13). Joy Ladin‘s (Fiction/Creative Nonfiction Finalist ’12) book of creative non-fiction, The Soul of the Stranger: Reading God and Torah from a Transgender Perspective (Brandeis UP), is a finalist for both a Lambda Literary Award and a Triangle Award. Melinda Lopez (Dramatic Writing Fellow ’19, ’03) co-wrote Mr. Parent with Maurice E. Parent, and the play is getting a reading as part of the Huntington Theatre Company’s Breaking Ground Reading Series at the Boston Center for the Arts Calderwood Pavilion (4/13, 8 PM). The play is based on the real-life experiences of actor/teacher Maurice Parent. Julie Mallozzi (Film & Video Finalist ’15, ’07) short documentary film The Battle for Ranked Choice was selected to screen in the Independent Film Festival Boston (4/24-5/1). 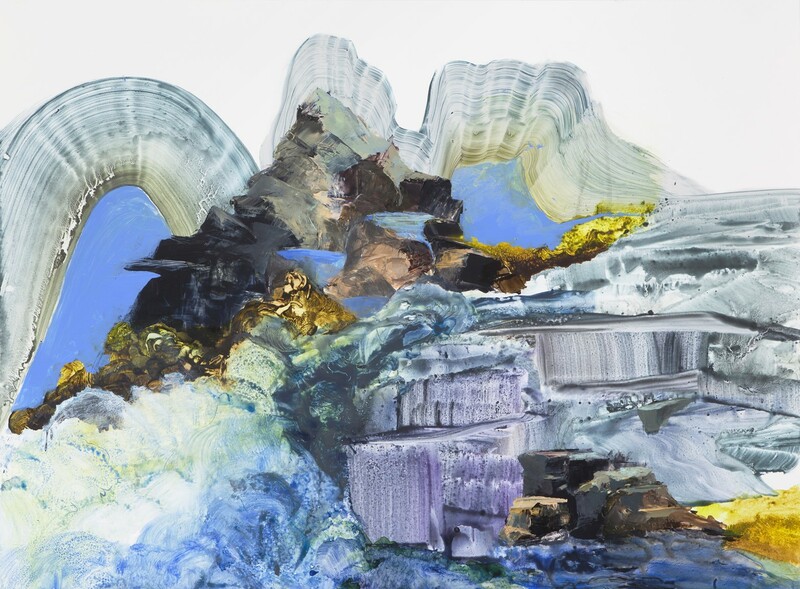 Ilana Manolson (Painting Fellow ’18, ’08) has a solo exhibition at Cadogan Contemporary Gallery in London (4/23-5/10). Christian McEwen (Dramatic Writing Fellow ’11) is publishing a new book, Legal Tender: Women & the Secret Life of Money (Bauhan Publishing 2019). The book is based off of her play of the same name (which is the play she submitted to win her fellowship). Gary Metras (Poetry Fellow ’84) will read from his new book of poems Captive in the Here at White Square Books in Easthampton during its 5th Annual Book Fest (4/13, 1:30 PM). Richard Michelson (Poetry Fellow ’16) will recent a 2019 Samuel Minot Jones Award for Literary Achievement from the Jones Library. There will be an awards ceremony at Amherst College (4/25, 6 PM). Lenelle Moise (Dramatic Writing Fellow ’17) will perform original poetry and all-vocal music at Norton Museum of Art in West Palm Beach, FL (4/5, 7:30 PM; workshops 4/6 and 4/7). She will also be featured artist for the Black Lavender Experience hosted by the Brown University Dept. of Africana Studies Rites and Reason Theatre (4/13). Claudia Olds Goldie (Sculpture/Installation/New Genres Finalist ’17) has a solo exhibition, Staccato at Boston Sculptors Gallery (4/3-5/5). Cecelia Raker (Dramatic Writing Fellow ’17) co-wrote the opera Good Country, which has its first workshop production at the University of Texas Cohen New Works Festival (4/15-4/16). Her play Webbed Hands won the Kennedy Center’s 2019 Darrel Ayers Playwriting Award for outstanding play for young audiences. Harold Reddicliffe (Painting Fellow ’10) has an exhibition of new paintings at Gallery NAGA in Boston (4/5-4/27). Daniel Ranalli (Drawing & Printmaking Fellow ’10) has a solo exhibition, Iconic Cape Code Paintings (This Is Not A Photograph), at Gallery Kayafas in Boston (4/12-5/18, artist reception 5/3, 5:30-8:30 PM). Nick Rodrigues (Sculpture/Installation/New Genres Fellow ’07) is exhibiting in Welcome Homes, a group exhibition curated by Soyoung Shim at AA/LA Gallery in Los Angeles (4/20-5/25, opening reception 4/20, 6-9 PM). Marian Roth (Photography Fellow ’97) is exhibiting in Camera Obscura: Pinhole Photography from Marc St. Pierre and Marian Roth at Dedee Shattuck Gallery in Westport (4/3-4/28, opening reception 4/6, 5-7 PM). Natalie Shapero (Poetry Finalist ’18) will read poetry as part of the Lunchtime Talk Series at the Tufts University Tisch Family Gallery (4/10, 12:15-1:15 PM). Karen Skolfield (Poetry Fellow ’14) was named Poet Laureate of the City of Northampton. Karl Stevens (Drawing & Printmaking Finalist ’16), is the artistic partner for the Isabella Stewart Gardner Museum exhibition, Botticelli: Heroines + Heroes. The artist created a twelve-panel comic on the history of Gardner’s acquisition of the first Botticelli painting in America, The Story of Lucretia. Congratulations to Tracy Heather Strain (Film & Video Fellow ’07), who won an NAACP Image Award for “Outstanding Directing in a Motion Picture (Television)” for her film Lorraine Hansberry: Sighted Eyes/Feeling Heart. Cary Wolinsky (Sculpture/Installation/New Genres Fellow ’09) will present Talking Photographs, an evening of pictures and tier stories, at the Firehouse Center for the Arts in Newburyport (4/3, 7-8:30 PM). Image: installation view of A FATHER’S LULLABY (2017) by Rashin Fahandej (Sculpture/Installation/New Genres Fellow ’19); Ilana Manolson (Painting Fellow ’18, ’08), SHAPE OF A TREK (2018), acylic on yuppo board, 40×49 in.